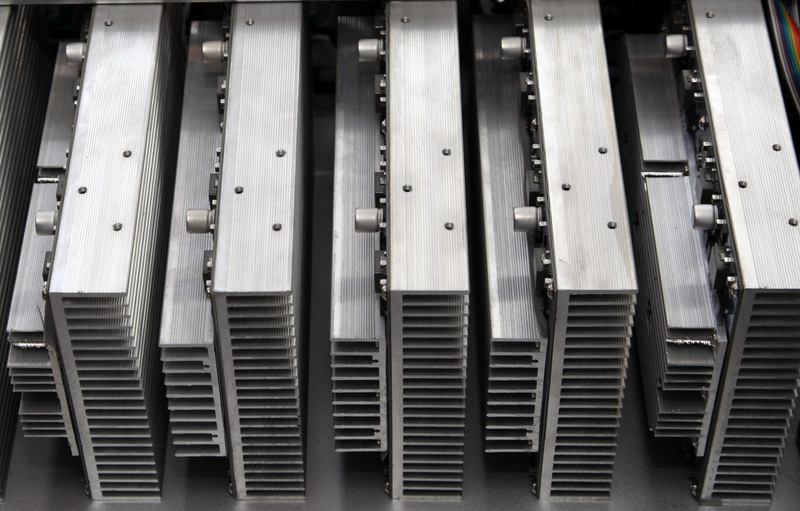 We are very close to the introduction of the new generation Scrypt ASIC miners that would scale from tens of megahashes to the hundreds of megahashes. Most of these new miners have been pre-ordered months ago with expectancy that they will be delivered on time to quickly return the investment and make some good profit. This however already seems like something that may not happen so easy, or at all for that matter. 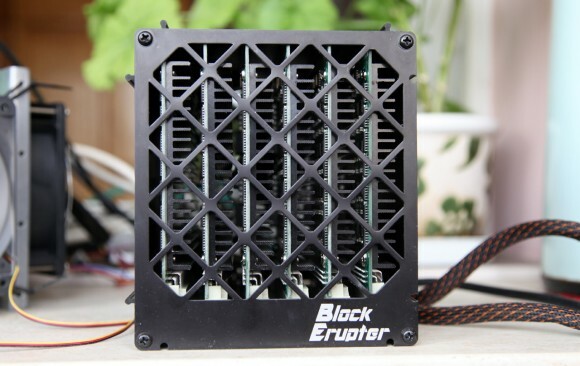 The investment in the currently available Scrypt ASIC miners also may not seem as the best idea for the moment as well, even though the manufacturers do have some pretty sweet deals available. This is normal as they want to take the advantage and sell their production before it becomes something that nobody may be interested to buy due to high power usage and low performance when the new generation starts hitting the market by the end of September (most likely). Since Scrypt ASIC mining is much newer than the dedicated hardware for mining Bitcoin there is still more room for improvement here and there will be many chances for normal miners to actually make some money from mining for Scrypt crypto currencies such as Litecoin. However when the dedicated Bitcoin mining hardware started appearing there were still not so many alternative crypto currencies available like we have now, so the future of Scrypt ASIC mining is still a bit uncertain. The situation with SHA256D or Bitcoin ASIC miners is a bit different, but it has its own problems as well. In fact you can consider that Bitcoin mining hardware has already moved away from the hand of the small-time miners to large mining operations. There are less and less ASIC miners available with a price tag and hashrate to make them attractive to smaller miners and these are more for people that just mine as a hobby or want to try out things. Making profit by directly mining for Bitcoins with one or two small ASIC miners that you bought as an end user is pretty much impossible already. But it is not only that in fact the Bitcoin ASIC manufacturers have already started pushing the limits in what they can achieve in terms performance by using the latest chip technology available. This means that it will be harder to go with big steps in terms of increase of the hashrate that the new miners will be able to offer. Optimizing efficiency and performance would still make things a bit faster and consuming less energy, still very important factors in mining. The real increase in terms of performance however should come from increasing the number of high performance miners and that does require a significant investment that not only goes for the mining hardware, but for infrastructure as well. With some luck and if you were among the first that believed in Bitcoin and crypto currencies, and especially if you did mine and keep most of the mined coins and reinvested part of them smart you could’ve gotten a pretty nice and profitable mining operation. However in fact very few people have managed to do that as in the early days of Bitcoin nothing was certain so certain, just like many people do believe the situation with Litecoin is at the moment. Nowadays Bitcoin is already moving to a more mature state, already being quite widespread and popular among many people that have never mined coins. The same can be said about some alt coins as well, though Bitcoin remains “the king”, others such as Litecoin, Dogecoin, Darkcoin have also reached a well-established state and are pretty popular. So it does not come as a surprise that around the world there are already a lot of talks about regulating the crypto currencies or even banning them. This also means that a lot of new capitals are being invested in Bitcoin and crypto currency businesses in general, both old and new, money coming from investors that have seen the potential that crypto currencies have. For the regular small-time miner however mining for crypto currencies remains either a hobby or something that will allow them to earn some extra cash. With the boom of new altcoins we have also seen another trend – the appearance of the so called scam coins, or new crypto currencies that are cleverly (or not so much) designed to attract user attention in short period of time and bring serious profits for their developers and then the new coins is left to die. And while this has been happening for a few months already it is still not driving users back to the more established and trustworthy coins, instead the greed of the get-rich-quick mining this or that new “promising” alt coin still keeps many users literally gambling on new launches. In fact this game of “act fast or you’ll be sorry later” is bringing some profit for very few users, but these profits come at the expense of many others that lose their investments. Sooner or later this trend should end and people should get back to their senses and put their trust in crypto coins that are here to last and not just quick scams designed to take their hard earned Bitcoins. This all brings us back to the question what to go for – an ASIC miner or cloud mining service, that is if you want to invest into mining crypto currencies at all. There is of course another option and that is to continue mining new alternative crypto currencies with video card-based mining rigs, if you still have some of these available. There are still some interesting opportunities available that could still generate some profit when you do the math, but these usually require you to follow the altcoin market closely, always be on the lookout for new coin launches and so on. This in fact makes it very hard for people that are not all-time miners to do that, but also have a job and life that does not allow them to dedicate a lot of their time to mining. With specialized ASIC miners the time you need to spend mining is not so much when you make things working and you would usually need to pay more attention and spend time if there is some problem or something major happens. The other alternative, cloud mining, makes things even much easier for you – the miner, as all you have to do is monitor your earnings from time to time and maybe withdraw and exchange them. With cloud mining it may seem that all is easy and good, you invest and then just collect your profit, but things are not so easy or bright as you might think. While cloud mining may seem as the next logical step in the evolution of crypto currencies there are still a lot of things that may quickly drive you away from cloud mining as well. We are going to take a look at some of the caveats of cloud mining and why you should also be very careful with this new trend that is gaining a lot of attention lately and will most likely continue to be as many of the ASIC manufacturers and not only are already working on offering not only hardware, but cloud hashrate to their customers. The first and most important thing with cloud mining services is the trust issue. You need to earn the users trust, something that is not that easy with some many new companies and services popping out all the time. The trust issue is also a problem with ASIC mining hardware manufacturers, especially if they announce pre-orders and have not previously delivered any hardware to earn the trust of their customers. It is easier with companies that have previously sold mining hardware to move into cloud mining services, or for ASIC manufacturers to move from making and selling hardware to actually using their hardware and selling hashrate – they already have satisfied customers that have trust in them. This is exactly what is most likely going to happen in the next few months, we are going to be seeing more companies that were or are still selling ASIC miners to start offering cloud mining services as well as hardware manufacturers developing their own cloud-based mining services relying on their own hardware. In fast most of the ASIC makers already have announced that they are working on cloud mining services, some already have launched or are currently testing them so apparently this is what they see as the future of mining. There are also some early adopters that are already established names in the world of cloud mining, however the problem they have is that their expected profitability is low or even getting a return of investment may seem questionable. This leaves a lot of room and many customers willing to invest into such more profitable services, however this also leads to the appearance of a lot of scams related to cloud mining as already mentioned. Moving past the trust issues with cloud mining services we go to another serious problem. Most cloud mining services are based on virtual hashrate that is spread on different hardware backing it up, so what you get in terms of control is severely limited. This is the easier approach for the service provider – to sell you hashrate that you have no control over, like the ability to point it to a pool of your liking to mine a specific coin for example. This is the most significant difference when you compare an ASIC miner to a cloud mining service, with the actual hardware in your hands you have full control over it while with cloud mining you usually don’t have any control what and where is mined. Do note that cloud mining is not the same as hosting service for your miners where you do have full control over actual hardware, the most you can expect from the more advanced cloud mining services is some control over what is being mined and what crypto currency you might be paid in if they run their own multipool where the hashrate is being pointed to. However with cloud mining you can forget about the ability to point your hashrate to some new crypto currency that was just launched and that seems promising to you and potentially make some extra profit from that, it is not possible. As already mentioned giving you no control makes it easier for the service provider to manage the actual hardware that is backing up the service, if there is actually any mining hardware as this also makes it possible to run a Ponzi scheme masked as a cloud mining operation. From our experience with multiple such services that have turned out to be scams, they are masked as new companies and services that usually do not last more than a month or two. So if you follow our general rule to start with a small investment and never invest more than you can afford to lose, should you decide to invest at all in such shady new cloud mining services you should generally be fine. Getting full control over your cloud mining hashrate as you would have with actual hardware miner is not impossible, just very hard to implement on a larger scale and especially if not using unified hardware. When you walk about crypto currency mining with the unstable exchange rates of crypto currencies and the very rapid development of everything and you take into account the way these are designed with constantly increasing difficulty you need to plan careful and well. Most people do not make long term planning and expect to have a very quick return of the investment and then start making profit. You never can know for sure what will happen with the price of a specific crypto currency in a month, three size or a year and the same applies to its difficulty and that comes only for the more established coins as with new ones even short term planning is hardly possible. If you are investing in a cloud mining service or mining hardware you are doing the calculations to see if you can ROI in a matter of just few months in the not favorable scenario and then make some profit from your investment. Of course even if you manage to ROI very fast you still need to do the math what profit you can expect after that to see if there is even worth all of the efforts. Outside of the digital world so quick return of investment and in the world of crypto currencies usually is associated with very high risks and often with scams, that is why in the world of coins there are a lot of “traps” as well, so you need to be extra careful if you want to end up profiting from it all and not losing money in the end. This is precisely why may people give the advice to buy Bitcoins now as a long term investment and wait for their exchange rate to increase as an alternative to investing in cloud mining. This is especially good advice when the calculations for cloud mining investment don’t look in your favor and you are including external factors such as possible increase in price to help you get on the positive side and not actually loose from your investment. In the world of crypto currencies hashrate quickly loses value, so even after you earn back what you have invested in it, regardless of the time it takes, the additional profit it will bring you for a while may not be worth much. That is precisely why you need to take into account history data about difficulty increase of a crypto currency to estimate its value ahead in time and not do the math with the highest price that a coin has reached. As people say – “Hope for the best, prepare for the worst” and once you are prepared for the pessimistic results and things don’t look so bad, then you should go ahead and “pull the trigger” being optimistic. This can save you a lot of trouble, regardless if you are considering investing in either ASIC mining hardware or cloud mining services. Then again GPU mining will most likely not disappear anytime soon, although it might not be as attractive as it was while it was the only option available for mining crypto currencies. We don’t know about you, but we here believe in the crypto currencies and the fact that they will play a more and more important role in our future… they will however probably need some more time to mature enough. You’ve seen many articles, discussions online about the AMD Radeon R9 lineup – especially chatter about pricing and availability. As we’ve talked about it before, the demand for the R9 lineup has been nothing but astonishing, and went well beyond our most optimistic expectations. 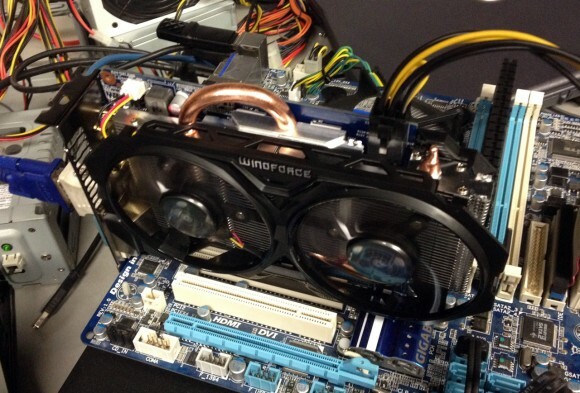 That created a situation where gamers weren’t able to purchase their desired R9 graphics card. We have good news! All R9 Series products are now available and in stock at worldwide retailers, and street prices have returned to the SEP (or below)! The chart below should help you get a good overview of the current stack and pricing. Now that product is available and at suggested pricing, these prices will remain stable. No more madness like you saw in Q1. I’d like to direct your attention to the AMD Radeon R9 280 – which is now available starting at SEP price of 180€ + VAT ($249 in the US). You will see this price in effect right now on a few items with more on the way. You have most likely not had many of these boards in your lab, and we have a batch of samples available from multiple board partners waiting to be benchmarked. 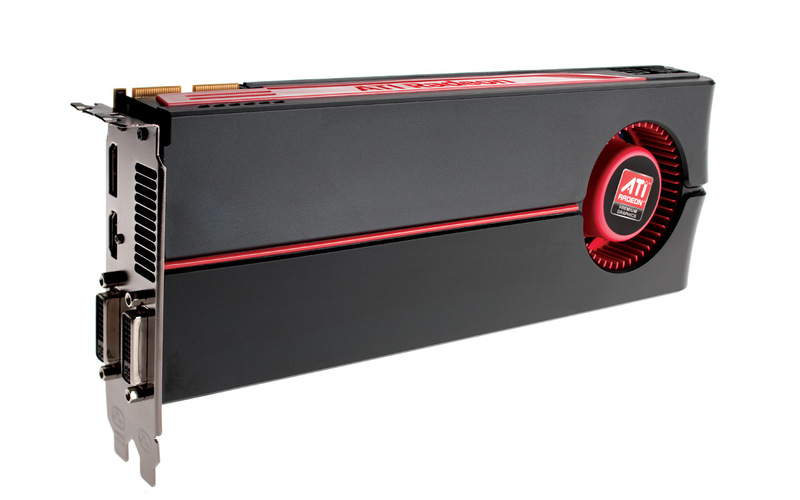 Please let us know if you’d like to review one of the AIB SKUs based on the R9 280. In tandem with the stable pricing and wide availability, we’ve re-launched our Never Settle Forever bundle program to include over 20 titles from which gamers can pick and choose. In addition, we’ve lined up a few brand new games to add to this promotion, and we’ll be sharing more info with you in the next few weeks! In summary – for all those gamers who were unsure whether to purchase an R9 graphics card, this is exactly the right time to do so. AMD’s performance and enthusiast line-up has never been more competitive. Armed with technologies like Mantle, TrueAudio, the AMD Radeon R9 series of products offer the best performance and value in every segment from 145€ to 1300€! The reason for enough R9 availability is the fact that due to Scrypt mining moving to ASIC mining hardware people are no longer building GPU-based mining rigs like crazy and thus the demand for the video cards is not so high anymore. Also at the moment on the second hand market you can find some great deals on cards used for mining that still have warranty remaining at some really good prices. So why buy new cards when you can get perfectly working ones at even lower price as so many people are selling their GPUs in order to get Scrypt ASIC miners. Fear not however, GPU mining is not dead, it is just most likely going to take some more time to be revived yet again with the move to another strong alternative crypto currency that is going to replace Litecoin. In the last few days we’ve seen DarkCoin going pretty well, especially after the release of X11 mining support for Nvidia GPUs. There are however multiple other contenders such as VertCoin for example, so do not be in a hurry to sell your GPU hardware yer, or you might regret it later on. The default Scrypt mining performance with CUDAminer was about 273 KHS, or slightly more than what we got with the reference card at stock frequencies of about 265 KHS. The two advantages of the Gigabyte board were the presence of an external PCI-E power connector and the much better cooling solution compared to the stock cooler. 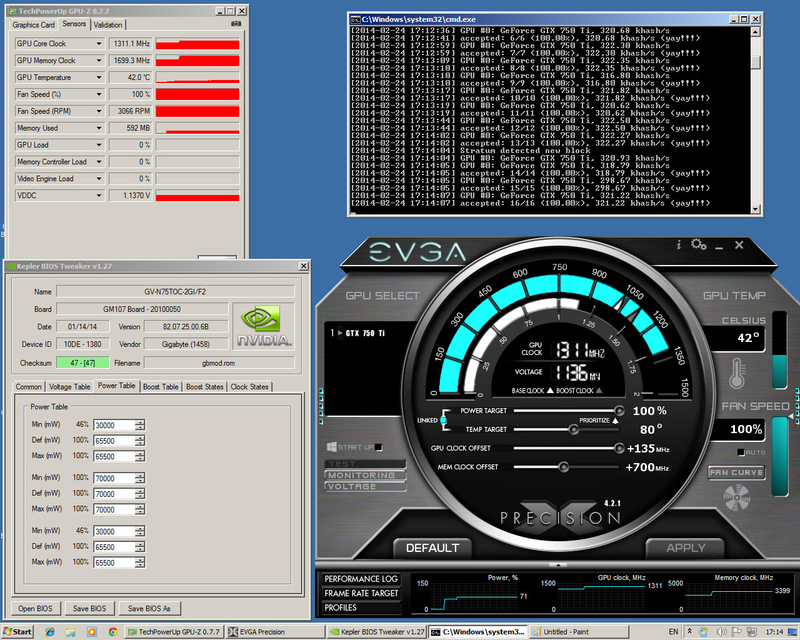 However we have found out that the TDP limit of the Gigabyte was still set at 38.5W in the video BIOS, though with the Power Target limit removal method you can get much higher limit set and avoid the Power Target functionality limiting your performance.